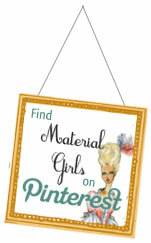 Material Girls Blog » Blog Re-Launch and a Big Thank You! Beautiful new blog ladies! Love all the illustrations, they are fabulous! It looks great girls, I love it! Nice work. I love the new look of the site! 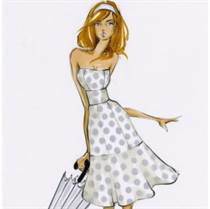 Fabulous, very chic and stylish. Wow, this new re-design is fantastic and very well organized. I’m so impressed. Congrats! The old MGs was the best, and now the new site is even mo’ betta! I love how it turned out! + I love your posts! Way to go! It’s better instead of before what it was ? I love it. moxiedesignstudios seems to have the niche for this style of blog. I have seen many other blogs with a simlar style but of lesser quality. Good job! I admire the work you put into your blog site. I especially enjoy the design photos to give us inspiration. I work in children’s and baby bedding and design and enjoy seeing “grown up” design sometimes! Love your style! This is the second time I am hearing about ‘Moxie Design Studios’. I think fate is dictating the design company for my new website. Nice stuff! The style is so cute and elegant. So chic. Love it.